Just drive, and do it with confidence. Whether you’re buying your first automobile or you’re on your fifth, it’s one thing to find the right car, but it’s another to find the right protection for it. No matter what you have, Gene Reed Insurance Agency can get you covered so you can get out on the road, worry-free. Multi-Car: Two or more passenger autos owned by your or by two persons in the same household may qualify. Auto/Home: Save on Homeowners premium and Auto premium when you insure both. Loss Free: No accidents for a period of 3 years or more may qualify for a discount. 45-Plus: A principal driver who is 45 years or older may be eligible for a discount. Low Mileage: If you drive annually less than 7500 miles, you may be eligible for a discount. Good Student: A driver under the age of 25 with a GPA of 3.0 or better may qualify for a discount. Hybrid Auto: Any vehicle using more than one energy source to power it may qualify for a discount. Roadside Rescue: Nationwide, 24/7, one-call roadside assistance program is automatically included at no extra charge on all vehicles with comprehensive coverage. 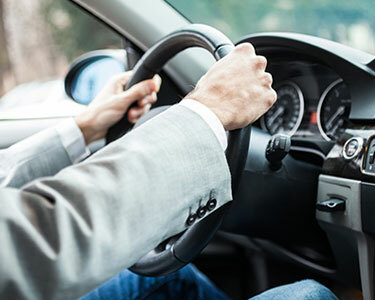 Enhanced Coverage for use of Rental Cars: Coverage for diminution in value of a rental car; coverage for loss of use of a rental vehicle; plus coverage for damage resulting from valet parking of a rental vehicle. Pet Insurance: Coverage for resable medical expenses incurred for the care, recovery, and necessary veterinary-recommended euthanasia of a cat or dog when the injury is the result of a collision of your covered auto. Pet Replacement Coverage is available if a pet dies or requires necessary or veterinary-recommended euthanasia if cause by a collision of your covered auto. Personal Effects in a Vehicle: This includes cell phones, laptops, satellite radios, CDs, DVDs, and portable GPS devices. $0 Deductible on Glass Claims: Waives the comprehensive deductible that would otherwise apply on a glass claim. Time Protection: Repair or replacement of a tire due to puncture, bruise, or impact during normal driving on a maintained road or paved surface.